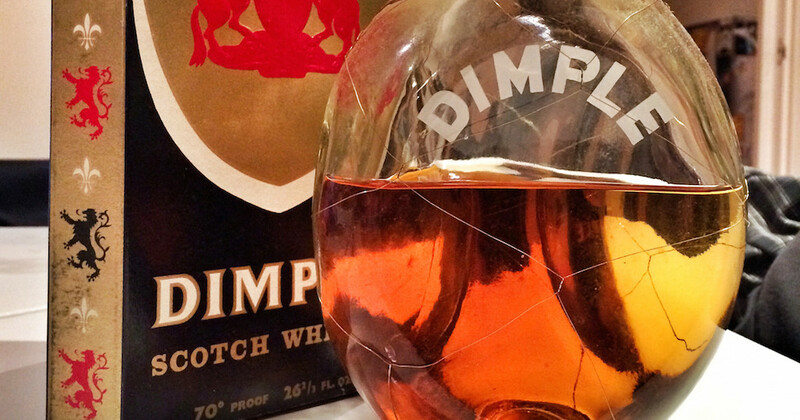 As has come up before, blended whisky has significantly changed over the years. Consumers’ tastes have changed and producers have tweaked production methods, and the combination has led to a shift from weightier whiskies to the current, lighter and more delicate nature of most blends. The old blends were themselves a lighter version of the old-fashioned style of malt whisky –picking up popularity at least in part due to the lack of cognac after the phyloxxera outbreak at the end of the 19th century – and the malts were a more refined version of the new make spirit and herb-infused usquebaugh that came before. Basically, things have always changed, and whether it’s been a change for the better at each stage is an argument for another day. But I think we can say that a bottle released in the 1960s isn’t going to have the same style of spirit in it as we have today. A second thing to consider is bottle ageing. 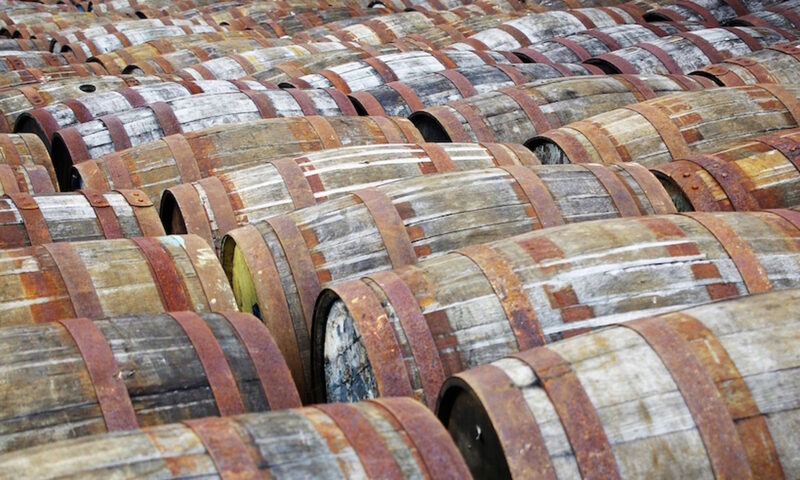 While whisky no longer matures in the ‘sitting in a cask’ way that it does up until being dumped from wood, it cannot be denied that even when in the bottle, whisky will change. It’s not fast but over decades, imperfect seals, interactions with the glass and slow chemical processes and more (excellently summarised in this whisky science post) will take their toll, and a whisky’s character will change. As I didn’t drink whisky back in the 1960s, I have no frame of reference. In fact, I know very few people who both a) drank whisky in the 1960s and b) have good enough memories to compare a 1960s bottle opened now to what they drank back then. The general anecdotal evidence is that the whiskies have held up pretty well, but have become more refined or softer, although the reliability of that is even doubted by the people who have said it. Nose: Sweet and creamy, with a bizarre mix of linseed and engine oil sat behind. On top of the dirtiness sits sweet orange and soft spice, Danish pastries, cornflakes and sprinkle of icing sugar. Palate: Thick and oily in texture, with a bit of the oily flavour from the nose. Grain and orange lead the charge, with sour green leaves and damp oak coming in behind to balance. Spicy aniseed balls, although restrained in tingliness, follow, with crunchy caramel, boot polish and butter icing. Along with all of that is one of my favourite old-skool whisky flavours – mixed and melted pink and yellow ice cream, from a supermarket own brand tub of Neapolitan. Finish: Oaky spice, creamy toffee, green leaves and sap. Old fashioned and oily, a different beast from the blends you get today, but still with the sweet and grainy core. Stick a block of ice in this and a glass of modern Dimple, give it a few moments and have a sip – I suspect they’ll be remarkably similar. @dvdbloke @cowfish I learned my lesson a few years ago in Japan trying 60s Islay’ – 8,12,15yr old 60s standard expressions rule! @dvdbloke @cowfish err. I meant 70s-80s standard bottlings, some with 60s spirit in it, rule! !